Face-to-face meetings might seem terrifying until your first experience is with someone unique, a visionary and charismatic leader. It is a great honor and pleasure for me to introduce to you the first cool Austrian entrepreneur, the fearless business owner and adventurer – Jörg Schmiedl – the CEO of Jollydays.at and MakeYourDay.com. My first discussion with Jörg was in the middle of April when I added him as connection on Linkedin. Afterwards, he read my article called 5 Lessons Learned in the First 2 Weeks after Launching WinGravity and he was kind enough to say “Hi Corina, keep going. Lessons won’t even stop after 15 years.” That was the moment when I knew that I have to meet him. Who is this business professional who empowers and encourages me, that seems to be in better shape than I am? It’s definitely the time to make fresh new friends. Jörg, the entrepreneur who sells cool experiences, was the first Austrian entrepreneur I met face-to-face. The first thing that you notice when entering his crib is a beautiful egg-shaped chair. After he comes to greet you, you can’t remember anything else because he has this amazing superpower to captivate you with his stories. Short trips: Shopping city breaks, Break from the city, Wine tours and tasting, Romance trips. And many, many, many more…Whether you are looking for an unusual gift for a special occasion or want to do something special for yourself – their offer and experiences are out of this world. Did you know that Jörg has the courage to test all these adventures that he sells and he totally enjoys doing it? Wow, I’m truly impressed! What is so cool about Jollydays.at and Makeyourday.com? Jörg Schmiedl: Having the right guys to work with. I find that the team is making a big difference. We are specialized in experiences and we are selling the coolest stuff in the world. When our clients buy something from us, in the end they have something that they can share for the rest of their lives. They can even tell their grandchildren while sitting in front of the fire about their adventures. What are the 3-5 key ingredients for business success? Ingredient #1: Attitude – Be brave, go out there and be full of energy. bring up as much energy as you can to your team every day. never giving up and always believing that you can do it. Ingredient #3: Find something that you love doing. Having all this energy that you have and doing this properly is only possible if you love what you do. My job is no job. My job is part of my life and I love being here as much as I love being at home with my kids. You have to have fun and if you don’t agree with it, I’m sorry, you gotta go. It’s not like I would enjoy kicking anyone out. But in the end, if you don’t find that this is something that you really wanna do and enjoy, it’s just a waste of time. You are spending way too much time in the office for doing something you don’t like. If someone agrees with me on everything – then one of us is too many – and it’s not me. Most of us dream of a team that has many ideas and bring them into the company to helps us grow. Figure out whenever you can to help these guys grow. I never kicked anybody out because he made a mistake. I love mistakes! Well, I don’t really love mistakes like losing 10.000 euros. I love the output of the mistakes! If you never experience any mistakes then you most probably walk within the mainstream of your current abilities. If you wanna develop yourself, grow your field of experience, you have to push your boundaries. If you push your boundaries and take a wrong step, then you make a mistake. And if you do so the company loses some money but you have growing employees with an attitude of ownership. If the team grows the company grows. If one of your employees says that he never made a mistake I say it’s a pity for you and your company. We learn from our mistakes and this is how we grow. 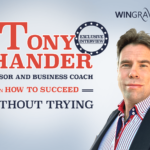 In Europe we don’t have a culture of failure, but in the USA in discussions with investors when I said that I’m experienced, I was asked how many failed businesses have I got. Zero. Then how can you say that you are experienced? At your age, we would have expected to do something wrong at least 3 times. I think there are risks every single day. Making the wrong decisions could cause the company to go down, but this responsibility – that’s the fun part of it. put yourself in the state of mind of a successful leader you will succeed. Absolutely. 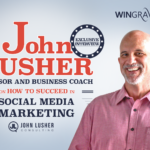 After this first meeting, I understood that if you want to be more successful you have to start hanging out with more successful people and make this a priority. Remember, experienced business professionals like Jörg are the ones who will push you closer to your dreams and goals. 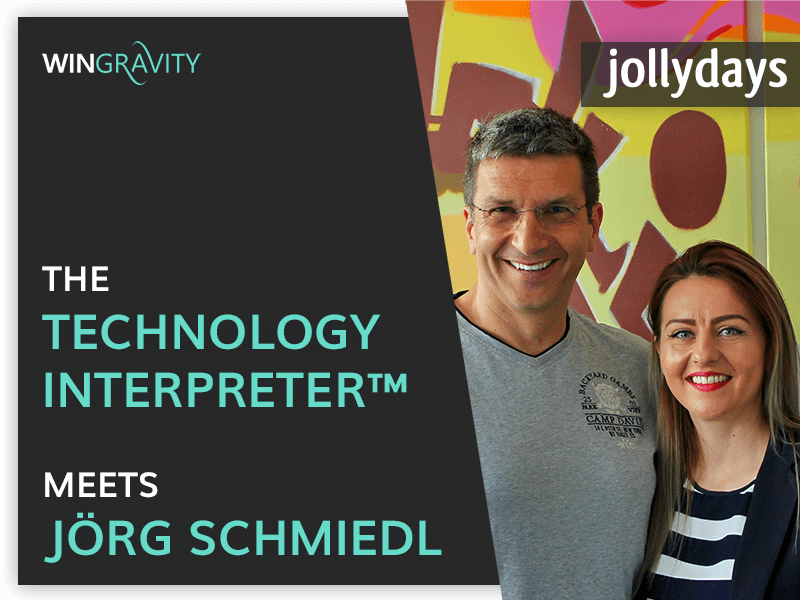 Thank you so much Jörg Schmiedl for the warm welcome and for sharing your story with me, the Technology Interpreter™. We had such a real roller coaster ride while sharing your journey. And you, dear reader? What are you waiting for? It’s your time to live extremely beautiful, enjoyable and unusual experiences, that you will remember for a long time and will share later with your grandchildren. Book your own unforgettable experiences here: Jollydays and MakeYourDay.